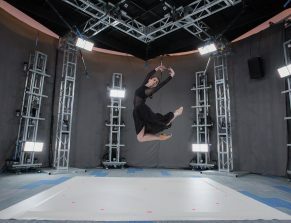 Digital Catapult, in partnership with immersive media company Hammerhead and Microsoft Mixed Reality Capture Studio, has announced the launch of Dimension, a state-of-the-art volumetric and 3D capture studio for the next generation of immersive content. Dimension, based in London, harnesses six years of Microsoft research and is one of only three such studios globally, alongside Microsoft’s own Mixed Reality Capture Studio in Redmond, WA and their newly launched San Francisco location. Dimension provides a facility for the rapidly growing immersive technology and content sector. With over 460 UK companies working in augmented and virtual reality, Dimension delivers an evolutionary step in imaging with unique production capabilities and a step-change in the levels of realism that can be achieved in the creation of virtual humans. With 106 cameras capturing life-like quality, Dimension provides a robust solution for volumetric and mixed reality video capture, content which can be used in both 2D and immersive media.